Ballycoan Pipe Band members tuning up before a contest in Dromore in 1970. 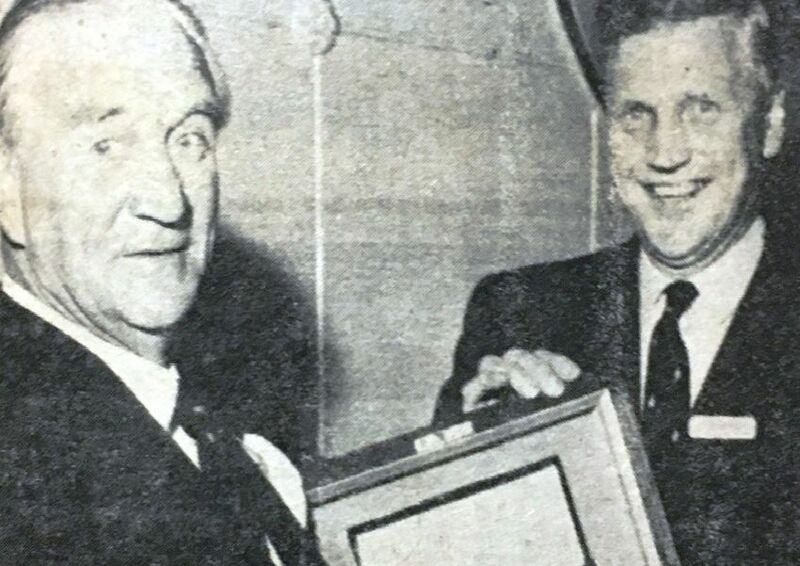 The Rt Rev Dr Arthur H Butler Bishiop of Connor presents Rodney Shanks with the Trevor Bell Memorial Shield at Lisnagarvey Prize Day in 1970. Four men were ordained as deacons at Christ Church Cathedral in Lisbunr in 1970. PIctured with Bishop of Connor Rt Rev Dr A Butler are Rev B Pratt, Rev W Bridcut, Rev J Watson and Rev M Harvey. Golfers at the first tee before the sponsored match at Lisburn Golf Club in 1970.